... harnesses the awesome power of the word "clean." My family and I hosted our second "Living Richly" dinner this past weekend. Almost 40 people came this time, but other families had schedule conflicts and the group of interested people seems to be growing rapidly. Future coverage will discuss the projects our little community is planning: an information sharing web page (perhaps wiki) that links to our listserv and hyper-local frugal living advice and resources, a local food shared purchase and preservation project (including establishing a CSA pickup site, plus a schedule of food canning parties during the growing season, which I hope will involve some of the older women at our church who still remember canning from their childhood), a small gardening project, a "shared stuff" project for tools and equipment, and a small babysitting coop. We identified "champions" or leaders plus volunteers for each of these projects. For this post, I thought you might be interested in the more detailed nutrition economics of the meal we served. The statistics are approximations, but pretty close. The menu was chicken curry, lentil dal, and coconut black-eyed peas, over large volumes of white and brown rice, with carrot sticks on the side and fruit salad for desert. The cost was about $1.40 per person, which happened to come close to the pro-rated cost of the Thrifty Food Plan (the official basis for the maximum food stamp or SNAP benefit). The agenda for our next gathering will be just songs and games after dinner. The dinner meeting after that will give the leaders and volunteers for each of our projects a chance to explain what they have planned for the season. JBS has abandoned its bid to take over National Beef Packing Co. Since March 2008, the Organization for Competitive Markets (OCM)has aggressively opposed the JBS/National Beef merger on the grounds that it would exacerbate the distortions already evidenced in the U.S. cattle market and would strengthen JBS’ ability to use packer-owned cattle and other forms of captive supplies to manipulate prices paid to hundreds of thousands of independent cattle producers. My, July 14, 2008 Epicurean Ideal post called "Meat conglomerates" showed my home-made graphic of the market hold that JBS would have potentially held had the merger had taken place. As the economy continues to slump, publicly funded research is also drying up. Are there risks associated with private industry funding research, and if so, how do we, as citizens, read research with a concerning eye? An article published in the New York Times yesterday by Andrew Pollack: Crop Scientist Say Biotechnology Seed Companies Are Thwarting Research addresses biased research in agriculture. "Technology/stewardship agreements required for the purchase of genetically modified seed explicitly prohibit research. These agreements inhibit public scientists from pursuing their mandated role on behalf of the public good unless the research is approved by industry. As a result of restricted access, no truly independent research can be legally conducted on many critical questions regarding the technology, its performance, its management implications, IRM, and its interactions with insect biology. Consequently, data flowing to an EPA Scientific Advisory Panel from the public sector is unduly limited." In other words, some scientists feel as if industry has a chokehold not only on the research that is being conducted, but on what is actually being disseminated to the public. This research problem is largely under-reported and under-addressed to a science illiterate public. An article by the Committee for Skeptical Inquiry called Who's Getting It Right and Who's Getting in Wrong in the Debate About Science Literacy, dives deeper into this equally important issue. You can add science based blogs to your RSS here. Research should be a public good and government should be conducting research to protect the well-being of its citizens from corporate strongholds. Another example of the system failing by Tom Philpott of the Grist is in the issue of Why is the FDA unwilling to study evidence of mercury in high-fructose corn syrup? I would argue much has to do with attractive jobs. The Crème de la Crop of scientists and researchers are easily enticed by high paying jobs in industry, not in regulatory positions at FDA. The FDA lacks man power and funding. On the flip side, those who are working in for the public interest (i.e. the scientists who just published their statement to the EPA) are being manipulated as well. A professor at Tufts, Sheldon Krimsky, has done extensive work on the effects of industry on research. He argues that a series of laws, federal policies and court decisions have enabled private interest "stakeholder science" to gain influence over university research. His book "Science in the Private Interest"sparked a website that continues to address these issues. The key to change, Krimsky says, is separating the financial interests from the science. A daunting task indeed. Interested in how your member of Congress can help make over the school lunch line, infamous for mystery meat, with fresh fruits and vegetables? In a free lecture on Capitol Hill on Thursday, Feb. 26, Neal Barnard, M.D., president of the Physicians Committee for Responsible Medicine (PCRM), Robert Lawrence, M.D., director of the Johns Hopkins Center for a Livable Future, and Eboni Morris, M.P.P., health policy fellow for the National Urban League, will discuss ways to improve the food served in the nation’s lunch rooms to help reverse America’s obesity epidemic. Participants will learn how federal nutrition policies, especially the Child Nutrition Act, which will soon come up for congressional review, play a critical role in our nation’s health. INFO: Contact Ruby Lathon at 202-686-2210, ext. 379, or rlathon@pcrm.org . For more information or an interview with Dr. Barnard or another PCRM nutrition expert, please contact Tara Failey at 202-686-2210, ext. 319, or tfailey@pcrm.org. 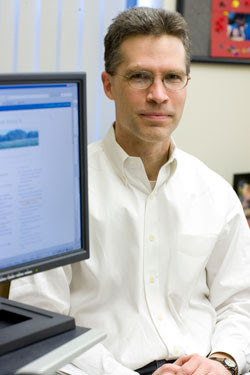 The Tufts website has a profile this week with links to a wide range of faculty bloggers. In addition to U.S. Food Policy, the article discusses blogs by professors Lisa Neal Gualtieri, Peter Levine, Sam Sommers, and Peter Walker. One could also mention the leading politics, culture, and international affairs blog by Daniel Drezner, at the Fletcher School at Tufts, which is now hosted by the journal Foreign Affairs. Some graduate students in the Friedman School community with interesting related blogs include Asta Schuette, Ashley Colpaart, and Amy Scheuerman. Others can be mentioned in the comments. Parke Wilde, an associate professor at the Friedman School of Nutrition Science and Policy, has connected with a community of fellow bloggers who cover food policy issues from a public interest perspective. Wilde says he would like to see this community make a major public policy impact, similar to efforts he has seen from Porkbusters, a blog community that focuses on government waste. Important goals, though Wilde admits blogging has its drawbacks. "It's not for everyone," says the former USDA economist. "You have to develop a pace you can sustain, and avoid the boom and bust cycle where you first commit too much time to it and then follow that by setting it aside for awhile." For Wilde, one of the interesting aspects of maintaining his blog is tracking the number of views and the types of people who end up at his blog. "What's interesting isn't so much the traffic numbers, but the searches that bring people to the blog," Wilde says. "I think that 20 percent of my traffic comes from people looking for nutrition information from fast food restaurants that don't disclose it. Even though it's not the thing I cover most, it's a mass market issue. Much of what I cover, I'm the main source for it." Wilde adds, "A cautionary tale to companies is that it's better to share information than not to." Wilde says his U.S. food policy blog has been motivating for his class on the same subject. It has also helped him connect with his students, some of whom contribute to the blog. "Currently there are two students listed on the masthead, but there are also others that have sent in material from time to time," Wilde says. "I don't know why, but every time we get a new voice on the site, it often scores a big link from some other major Web site, leading to a spike in readership." The Global Development and Environment Institute at Tufts University has released a policy brief: Sweetening the Pot: Implicit Subsidies to Corn Sweeteners and the U.S. Obesity Epidemic. Alicia Harvie, a Masters candidate in Agriculture, Food, and the Environment at the Friedman School of Nutrition Science and Policy and a Research Assistant, along with Timothy A. Wise the Director of the Research and Policy Program at the GDEI produced the document. They explore how much cheaper high fructose corn syrup (HFCS), a critical ingredient in the American diet, was from 1997-2005 due to corn prices below corn’s cost of production and the possible connection to USDA subsidies. "While this (corn subsidies) may not have reduced soda prices to an extent that would account for rising consumption, there is little doubt U.S. agricultural policies have indirectly subsidized a sector that may be contributing to health problems." The research was mentioned in Farm Subsidies, Bitter and Sweet, by Grist blogger, Tom Philpott. “the way the world grows its food will have to change radically to better serve the poor and hungry if the world is to cope with growing population and climate change while avoiding social breakdown and environmental collapse”. It is often argued that Africa needs to follow the agro-industrial “Green Revolution” model implemented in many parts of Asia and Latin America in previous decades. Using strains of crops that required agrochemical fertilizer, pesticides and irrigation, these methods increased yields. But they also damaged the environment, caused dramatic loss of agrobiodiversity and associated traditional knowledge, favoured wealthier farmers and left some poorer ones deeper in debt. This can not be sustainable in Africa, a continent that imports 90 per cent of its agrochemicals, which most of the smallscale farmers cannot afford. It will increase dependencies on foreign inputs (agrochemical and seeds of protected plant varieties) and foreign aid. Africa should build on its strengths – its land, local resources, indigenous plant varieties, indigenous knowledge, biologically diverse smallholder farms and limited use (to date) of agrochemicals. It is time for the African Sustainable Green Revolution – to increase agricultural productivity by using sustainable agricultural practices that minimize harm to the environment and build soil fertility. The brief defines 'organic agriculture' as "a holistic production system based on active agroecosystem management rather than on external inputs. 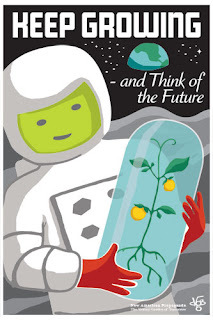 It builds on traditional agriculture and utilizes both traditional and scientific knowledge. 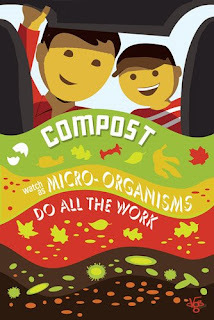 It is a form of sustainable or ecological agriculture that involves production according to precise standards." "research shows that organic agriculture is a good option for food security in Africa – equal or better than most conventional systems and more likely to be sustainable in the longer term. The study’s analysis of 114 cases in Africa revealed that a conversion of farms to organic or near-organic production methods increased agricultural productivity of 116 per cent. Moreover, a shift towards organic production systems has enduring impact, as it builds up levels of natural, human, social, financial and physical capital in farming communities." The brief does not avoid the challenges facing African agriculture. Building production capacities, market access (against a buy local movement), lack of government support for alternative methods, expensive certification processes, and lack of research and awareness are all major noted hurdles. • Promoting development of local and regional markets for organic products. • Reduce organic market entry barriers, including by recognizing African standards such as the East African Organic Products Standard. • Explore schemes to make payments to smallholder organic farmers in Africa for carbon sequestration and ecosystem services. Tom Philpott at Grist covers the new report from a coalition of environmental groups, suggesting reasonable changes to biofuels policy. They charge that the U.S. biofuel program actually "exacerbates global warming" because of greenhouse gas emissions from nitrogen fertilizers and the conversion of grasslands and rainforest to cropland. Further, the mass production of monocropped fuel feedstocks like corn, soy, and palm degrades soils, increases water pollution, drives out biodiversity, and endangers the food security of vulnerable populations. In the process of creating these lamentable side effects, biofuels are offsetting a relatively small amount of conventional fuel use -- and are grabbing the lion's share of federal support for alternative energy. In short, biofuels have been an abject failure. 1. Ensure that all policy incentives for renewable fuels, including mandates and subsidies, require attainment of minimum environmental performance standards for production and use, to ensure that publicly supported "renewable fuels" do not degrade our natural resources. Such standards would: certify net life-cycle greenhouse gas emission reductions through 2050, taking into account direct and indirect land use change; and do not cause or contribute to increased damage to soil quality, air quality, water quality, habitat protection, and biodiversity loss. Compliance with these standards must be verified regularly. Cap the RFS at current levels and gradually phase out the mandate for biofuels, unless it is clearly demonstrated that such fuels can meet minimum environment, health, and consumer protection standards. Establish feedstock- and technology-neutral fuel and environmental performance standards for all biofuels and let the market devise ways of reaching them. Periodically reevaluate the sustainability and performance of renewable fuels. Provide a mechanism and requirement to mitigate unintended adverse effects, including authority to adjust any mandate downward. Phase out the biofuels tax credit to blenders while phasing in tax credits or subsidies for renewable fuels that are scaled in accordance to the fuels' relative environmental, health, and consumer protection merits. Subsidies to renewable energy and conservation should be distributed more evenly between alternative energy sources, and should be allocated in a manner that is fuel - and feedstock -neutral; biofuels, particularly corn ethanol, must no longer receive the lion's share of federal renewable energy subsidies. New policy must: Emphasize energy conservation (we cannot drill or grow our way out of the energy crisis); Create a level playing field among renewable energy options; Set fuel-, feedstock- and technology-neutral standards, so as to reduce fossil fuel consumption and greenhouse gas emissions, improve environmental quality and biodiversity, and reduce pressure on agricultural markets. The environmental groups include the Clear Air Task Force, Environmental Working Group, Friends of the Earth, Network for New Energy Choices, and the New York Public Interest Research Group. USDA's Economic Research Service has just posted 2007 results from the special module on eating and health in the American Time Use Survey (ATUS). I frequently hear questions about time use and food policy. For example, many people wonder if the high cost of healthy food prevents Americans from choosing good diets. On reflection, many healthy and affordable food options are mixed in with the junk on the market. Next, many people wonder if some combination of price and the time burden of buying and preparing healthy food is to blame. So, let's turn to the facts. Here is my graphic based on Table 6 of the 2007 results on the ERS website. I left out the activities for sleeping, working, and eating and drinking as secondary activities while doing something else as a primary activity. You can follow the link for the table to confirm that the omissions just simplify the picture without cherry-picking. The graphic shows the number of minutes spent in several activities, for adults, computed separately according to the responding adult's weight status based on self-reported weight and height. The questions are: (a) is it true that lack of shopping time and food preparation time are preventing us from eating healthy? 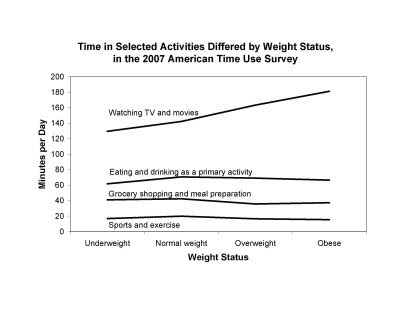 (b) what time use activity is most noticeably and systematically associated with weight status? In short: (c) what is the elephant in the room when it comes to time use? And Mr. Wentzell lost a box of Special K cereal that he travels with, for a lower-cholesterol breakfast than hotels usually provide. Like any student of nutrition science and policy, my correspondent knows that almost no cereal contains dietary cholesterol, which is found only in animal foods. Ironically, the moral of the article is, essentially, "how can one worry about the small stuff in the midst of great and important events?" Vilsack called on farmers to accept the political reality that U.S. farm program direct payments are under fire both at home and abroad and therefore farmers should develop other sources of income. In his remarks to the groups he said he intends to promote a far more diversified income base for the farm sector, saying that windmills and biofuels should definitely be part of the income mix and that organic agriculture will also play an increasing role. WASHINGTON, Feb. 12, 2009 -- Agriculture Secretary Tom Vilsack today "broke pavement" on the inaugural USDA The People's Garden during a ceremony on the grounds of U.S. Department of Agriculture (USDA) commemorating the 200th birthday of Abraham Lincoln. The Secretary declared the stretch of pavement permanently closed and returned back to green, and encouraged other Administration officials and the general public to join in to protect the Chesapeake watershed. "It is essential for the federal government to lead the way in enhancing and conserving our land and water resources," said Vilsack. "President Obama has expressed his commitment to responsible stewardship of our land, water and other natural resources, and one way of restoring the land to its natural condition is what we are doing here today - "breaking pavement" for The People's Garden." The dedication comes on the 200th anniversary of the birth of the 16th President of the United States, Abraham Lincoln. Lincoln founded the Department of Agriculture in 1862 and referred to it as "The People's Department" in his last annual message to Congress. The commemoration of the Abraham Lincoln Bicentennial is only the first step in the Department of Agriculture's celebration of President Lincoln's life. During today's ceremony, Secretary Vilsack announced the goal of creating a community garden at each USDA facility worldwide. The USDA community garden project will include a wide variety of garden activities including Embassy window boxes, tree planting, and field office plots. The gardens will be designed to promote "going green" concepts, including landscaping and building design to retain water and reduce runoff; roof gardens for energy efficiency; utilizing native plantings and using sound conservation practices. The USDA People's Garden announced today will eliminate 1,250 square feet of unnecessary paved surface at the USDA headquarters and return the landscape to grass. The changes signal a removal of impervious surfaces and improvement in water management that is needed throughout the Chesapeake Bay Watershed. The new garden will add 612 square feet of planted space to an existing garden traditionally planted with ornamentals. The garden will showcase conservation practices that all Americans can implement in their own backyards and green spaces. As a component of the garden, pollinator-friendly plantings will not only provide important habitat for bees and butterflies, but can serve as an educational opportunity to help people understand the vital role pollinators play in our food, forage and all agriculture. The garden plot is adjacent to the site of the USDA Farmer's Market. About 100,000 streams and rivers thread through the Chesapeake's 64,000-square-mile watershed, which is home to almost 17 million people in Virginia, Maryland, Pennsylvania, West Virginia, Delaware, New York and the District of Columbia. The Chesapeake Bay is the largest estuary in North America, with a length of 200 miles and 11,684 miles of tidal shoreline, more than the entire U.S. West Coast. The Chesapeake Bay supports more than 3,600 species of plants, fish and animals. USDA leads efforts on public and private lands to help reduce the impact of nutrient and sediment pollution on wildlife habitat, forest lands and water quality, as well as supporting community involvement in managing natural resources, urban green space and land stewardship. For more information about USDA, the People's Garden, the Chesapeake Bay Watershed and other conservation and agriculture related programs available in local communities, visit a USDA Service Center or go to the USDA Web page at www.usda.gov. 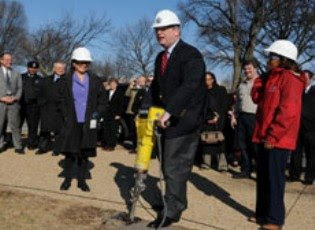 Further research on the USDA website revealed this picture of Vilsack "breaking ground" on the garden. I would have to agree that this is ground breaking. Cheers to Vilsack for making a bold statement and taking a stand to the status quo. Midwestern pork from family farms has a smaller carbon footprint. Transporting large amounts of grain over long distances generates a lot of CO2 emissions. 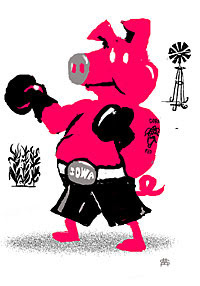 Paul Willis, manager of Niman Ranch Pork Company, draws this picture, “On average, a pig must eat 4 pounds of grain to gain a pound of weight, but less than half of a pig’s weight at slaughter is edible. So, should you ship 8 pounds of grain from the Midwest, where it is grown, to feed the Californian pigs, or 1 pound of pork from the Midwest to feed the Californian humans?” Environmentally, the choice is clear: ship less weight. ... and Bonnie says "locally." For all the pomp about the circumstances of cuts to spending in the Senate's version of the stimulus bill, the Senate has actually included some better child nutrition provisions than the House. Either way, there are significant differences in the child nutrition (and other nutrition-related) provisions in the House and Senate bills. FRAC has an overview of the differences between the two versions. As details are being ironed out as we read, call your Representative and Senators and let them know that these are both important to the safety net for the growing number of unemployed Americans, as well as some of the most far-reaching ways that taxpayer dollars can be used- SNAP (formerly food stamps) generates $1.80 for every dollar spent. School Food Service: Senate has $100 million for school food service equipment. This is extremely important to enabling school food service to prepare fresh, healthy meals with local ingredients. Without, they are much more tied to the unhealthy, highly processed (and not to mention gross!) meals produced off-site with low quality ingredients.Keep the Senate version! SNAP: House has $20 billion, Senate has $16 billion to increase monthly food stamp allotment. Keep House version! WIC: Senate has $380 million to fund growing WIC caseload (as this is not an entitlement program). Keep Senate version! The House also has a few hundred million dollars more for after school supper programs and senior meal. And the final bill most keep the provision in both versions which suspends 3-month waiting period for jobless adults to enroll in food stamps-- we know that the majority of food insecurity in American households occurs for short periods of time-it is essential as part of the stimulus package to make sure these benefits are available. The House and Senate have appointed conferees to work out their differences and craft a bill for a final vote in both chambers by the end of the week. House conferees: Approps. Chair David Obey (D-WI), House Ways and Means Chair Charles Rangel (D-NY), Ed and Labor Chair George Miller (D-CA), Transportation and Infrastructure Chair James Oberstar (D-MN). Senate conferees: Finance Chair Max Baucus (D-MT), Appropriations Chair Daniel Inouye (D-HI), Majority Leader Harry Reid (D-NV), Ranking Finance Mbr: Charles Grassley (R-IA), Ranking Approps Mbr: Thad Cochran (R-MS). 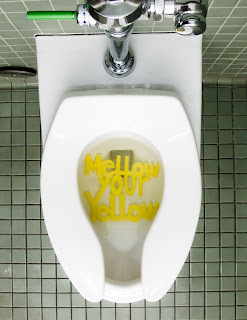 One of the friends who came to our "living richly" dinner last month sent along this clever idea, cleverly illustrated. Follow the link for the full story. If this blog ever sounds a note of outrage over lies and near lies in commercial food marketing -- like when a cereal company puts "fruity" in the product name for sugary junk that has no fruit -- then you can remind me of this story. I got home the other night to find my children gobbling up some delicious soup my wife Sarah had made. "What's in it," I asked, pulling up a chair? "Potatoes," say the kids. "Chickpeas," says Sarah. "Really?," says my son. "Well," Sarah says, "chickpeas and a little potato. I mean, I didn't really say it was all potatoes. I just called it potato soup." [L]ike other studies, we find an absence of supermarkets in neighborhoods of color when compared to white neighborhoods. Nonetheless, our study reveals an extensive network of small grocery stores in neighborhoods of color. Rather than soliciting supermarkets, supporting small, high-quality grocery stores may be a more efficient strategy for ensuring access to healthful foods in minority neighborhoods. I have been waiting for this! 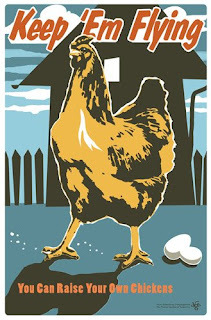 Those of you who know me know my affinity for the WW2 Victory garden propaganda posters. I have been in contact with Joseph Wirtheim, a graphic designer, artist, and student living and working in Portland, Oregon. 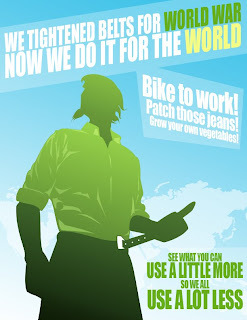 He is creating new-age Victory Garden posters that are amazing. I just picked up part of his collection at ETSY. If you have never heard of ETSY it is the greatest online flea market where you can buy handmade artisan gifts, clothes, trinkets and other goodies directly from the artist. "I do a lot of thinking about my generation's place in history and its contribution to the American story - that's what my art generally concerns." VGoT is an art project posing as a propaganda campaign for new, American homefront values. 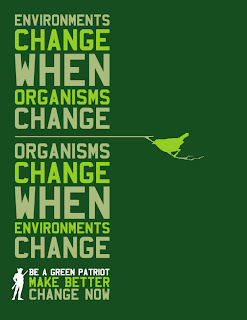 The message style draws from American mid-century homefront propaganda, and the messages essentially draws from 21st century needs as found in the current environmental sustainability movement. The resulting artwork is a series of propaganda-style poster images, that are either hand screenprinted, painted, or offset printed. 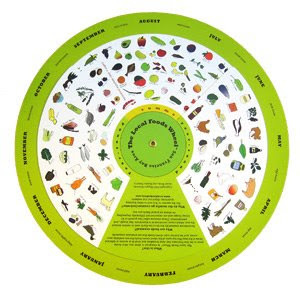 Learn More about Joe here and the Victory Garden of Tomorrow collection. I would encourage you too support artists, especially this one. They would look good in an office, great room or barn yard wall. Open comments. 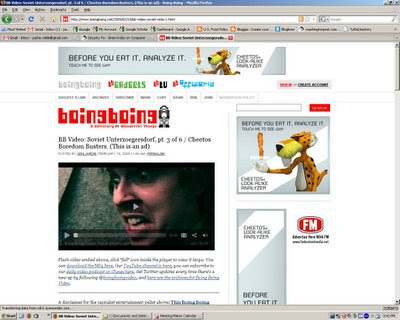 Here is an ad and post for Cheetos on one of my favorite blogs -- boingboing. What do you think? Have you eaten off a Weight Watchers menu in the past four years? If it was at an Applebee's you might want to give Tara Kelly a call. If you remember a few months back I blogged about the calorie labeling lawsuit that alleges misrepresented calorie counts at Applebee's restaurants from items off the Weight Watcher's menu whereby independent tests revealed some items to contain double the fat and calories posted. Apparently now 4 separate law firms have launched class action lawsuits and a recent news story reported Gilbert Oshinsky lawyer Tara Kelly hopes to represent, "every person who has eaten from the Weight Watchers Menu in the last four years". Given there are over 2,000 Applebee's in 49 states, 17 international countries and one U.S. territory, and lots of folks on Weight Watchers, I imagine Tara will be pretty busy. The trial is scheduled for 2010. U.S. Food Policy has been offering unsolicited advice about nutrition labeling to Applebee's for some years, but I don't think the restaurant managers read it.